Many tourist who visit Machu Picchu should go on a train tour to the citadel. The train journey offers many advantages such as the sight of a privileged natural beauty. 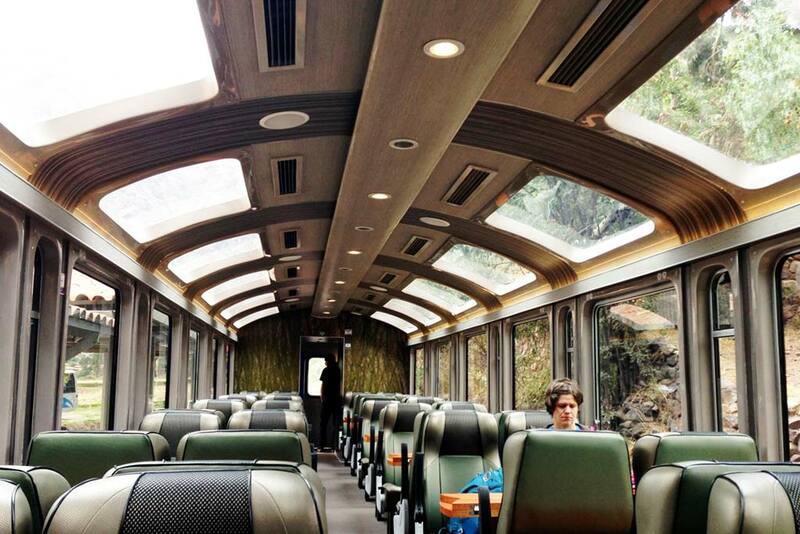 The Expedition and Vistadome are trains that facilitate that experience, with all the necessary comfort. We will explain their differences. Recommended For: this option is primarily for tourists who travel always looking for savings, it is a train for basic budget, although the service and the route are very satisfactory. It is ideal for those who travel alone and also for couples, as the seats are organized in rows of 2. Duration of the trip: in almost all the classic tours to Machu Picchu, you must first go by bus to one of the stations that make the route by rail to the citadel. These are Poroy and Ollantaytambo. Starting from the first, you arrive at the Machu Picchu station in about 3 hours, while from the second the arrival time is between 1:30 and 2 hours. Price: The Expedition is the cheapest train that serves the route to Machu Picchu. However, it offers sufficient levels of comfort, tranquility and allows you to enjoy a journey of big ecological beauty. Onboard Service: it is very adequate and effective, although basic due to the characteristics of the train. You can now buy a variety of excellent products, such as desserts, sandwiches, teas, sodas and alcoholic beverages. Experience in the Expedition: although it is an economy class train, the experience will be excellent. It offers comfort and tranquility for you to fully enjoy a relaxing trip to Machu Picchu, charming yourself with the mountains, forests, rivers and the powerful natural energy of the region. ecology of the route, although not in the intensity of Vistadome. Recommended For: this option is definitely for those who are also looking for a total immersion experience in the ecology of Cusco heights. It is ideal for families, couples and groups, as the seats are divided into modules of 4, looking at each other, with a large table in the middle. It can also make a difference for those who return somewhat tired of an Inca Trail, because this train offers a higher level of comfort. Also check our tips to travel in the Vistadome. Duration of the Trip: in the same way as the Expedition, you must go from the city of Cusco by bus to either Poroy or Ollantaytambo and from there to Machu Picchu. Travel times do not present differences. Price: the Vistadome is more expensive than the Expedition, but not too much, they are close in their cost. On-board service: it is first level. In addition, the return trip includes a typical music show with costumes and a parade of exclusive alpaca clothing. Includes a snack accompanied by a non-alcoholic beverage. You can also buy snacks such as alcoholic beverages, sodas and candies. Experience in the Vistadome: it is the real plus of this magnificent train, the main difference. You will have total comfort, tranquility, to enjoy a peaceful trip crossing the wonderful geography of Cusco. But also, traveling in it is almost like being in glass wagons: the windows on the sides and roofs are specially designed to connect the passenger with the ecological environment. Views: as just mentioned, this is the special feature. The windows in both the seats and the roofs of the Vistadome are very wide, panoramic, almost like the glass elevators that are in the shopping centers. This allows passengers to fully connect with nature, its landscapes and energy.Now that you know the differences between the Expedition and Vistadome trains, you can better organize your perfect vacation in Cusco! This additional information as what to take to the tour will also be very useful. Why Book Trip With Us ? Viva Peru Tours has more than 5 years of experience as the youth travel expert enabling students and young adults to explore the world by creating experiences filled with adventure, discovery and personal growth. We are dedicated to meet the needs, expectations of our customers giving a personal attention and high quality in all our services. 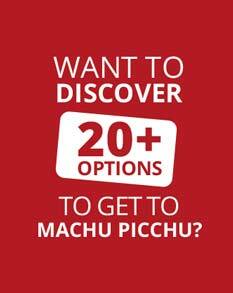 Local Peruvian tour operator 100% and many options to book any expedition in Peru. Read More.